On April 12th, 1633, the Inquisition began its trial of astronomer Galileo for challenging biblical teachings that the Sun moves around the Earth. 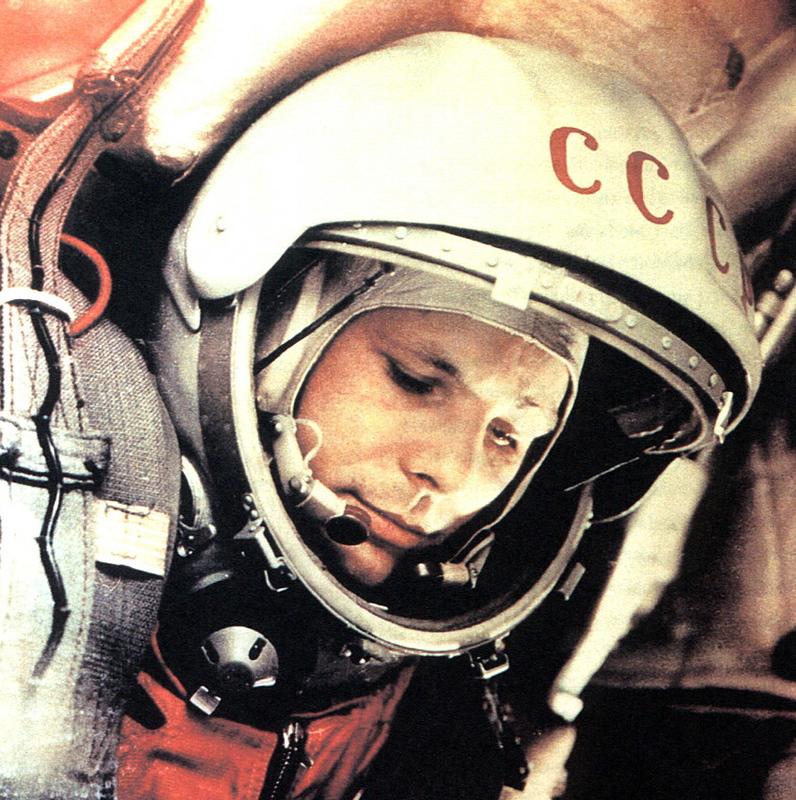 A man moved around the Earth in a space capsule for the first time on April 12th, 1961, when cosmonaut Yuri Gagarin was launched into orbit. Two accidents involving Soviet submarines have happened on April 12th. In 1970, the submarine K-8 sank while being towed in the North Atlantic after a fire. Fifty-two men died when the sub went down with nuclear torpedoes aboard. On April 12th of 1963, the nuclear sub K-33 collided with a Finnish merchant ship. The accident was kept a secret for 44 years. “The Hunt for Red October,” partly set aboard a Soviet sub, was the first successful novel by author Tom Clancy, born on this date in 1947. Clancy once appeared as a guest on NBC’s “Late Night” show, but not during David Letterman’s time as the show’s host. Letterman was born the same day and year as Clancy. He was the original host of “Late Night,” from 1982 until 1993, when he moved to CBS and renamed his program “The Late Show.” Letterman retired from the show in 2015, and was succeeded by Stephen Colbert. Yet another man born on April 12th, 1947, is actor Dan Lauria, who played Jack Arnold, Kevin’s dad, on “The Wonder Years.” Letterman left NBC the same year that “The Wonder Years” ended its run on ABC. Galileo is thought to be the first person to have seen the planet Neptune, observing it through his telescope on December 28th, 1612. But he is not considered the discoverer of Neptune, because he reportedly thought it was a star, instead of a planet. An audience in Paris saw movies on December 28th, 1895, and became the first people to pay admission to watch films. The Lumiere brothers sold tickets to a screening of scenes from everyday life in France. We don’t know if they sold popcorn for the occasion. Another type of image seen on a screen was publicized on that same day in 1895. That’s when German physicist Wilhelm Roentgen published a paper “On a New Kind of Rays,” where he described the discovery of a form of light which could pass through skin but not bones. The new ray became known as an X-ray. The X-ray is radiation, but it’s not considered radioactive. So if a spider zapped by an X-ray bit you, chances are you would not develop spider powers…as far as we know. The comic book writer who created Spider-Man and other Marvel comics, Stan Lee, was born on December 28th, 1922. A special 2009 edition of the Spider-Man comic book, called “The Short Halloween,” was written by “Saturday Night Live” veterans Seth Meyers and Bill Hader. Meyers, born on this day in 1973, was best known for anchoring “Weekend Update” on SNL before succeeding Jimmy Fallon as the host of “Late Night” on NBC in 2014. Author WilliamsProjectsPosted on December 28, 2018 December 26, 2018 Categories December, Today in history, TriviaTags Bill Hader, comic books, film, Galileo, Jimmy Fallon, Late Night, Lumiere brothers, Marvel Comics, Movies, NBC, Neptune, Saturday Night Live, Seth Meyers, SNL, Spider-Man, Stan Lee, Weekend Update, Wilhelm Roentgen, x-raysLeave a comment on DO YOU SEE WHAT I SEE? On August 25th of 1609, Galileo Galilei demonstrated his first telescope to lawmakers in Venice, hoping they would purchase it. His introduction of the telescope was once parodied on “The Carol Burnett Show.” In the sketch, when a spectator looked through the telescope and complained that he couldn’t see anything, Galileo responded that you had to put a dime in first. On the same day Tim Burton was born, the game show “Concentration” made its debut. The show requiring players to match hidden prizes and solve a rebus ran for 15 years on NBC before going into syndication and returning to NBC as “Classic Concentration” in the 1980s. Two men famous for hosting other popular game shows share an August 25th birthday: Monty Hall of “Let’s Make a Deal” (born 1921), and Regis Philbin of “Who Wants to Be a Millionaire” (1931). Author WilliamsProjectsPosted on August 25, 2018 August 23, 2018 Categories August, Today in history, TriviaTags Classic Concentration, Concentration, Galileo, Great Moon Hoax, hoaxes, Let's Make A Deal, man-bats, Monty Hall, New York Sun, Regis Philbin, telescope, Tim Burton, Voyager, Who Wants To Be A MillionaireLeave a comment on HOLY HOAXES, MAN-BAT!